After our strenuous hike, we basically wanted to do nothing so we spent the day leisurely wandering around Antigua. Here’s our itinerary for a chill day in Antigua. First stop: Coffee! We walked to Fernando’s Kaffee where I got an iced tea and my boyfriend got what he later determined to be the best coffee in Guatemala. They have a peaceful courtyard to sip your brew and also lots of cool things for sale. I bought a coin purse made from an old truck tire that cost about $5. Next stop: La Recoleccion. 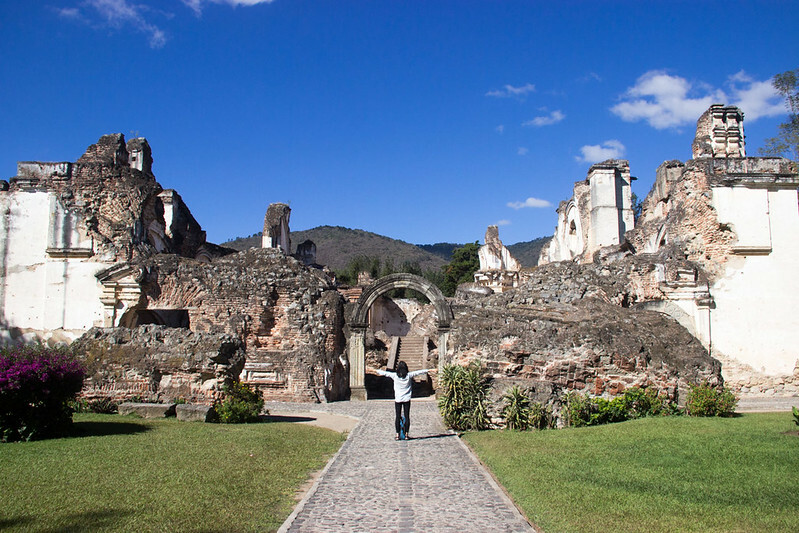 There are many ruins around Antigua from the 1717 earthquaks that you pay a small fee to get into; our favorite was La Recoleccion. It’s a former church and monastery with very large grounds and very few people. Next stop: Antigua market. 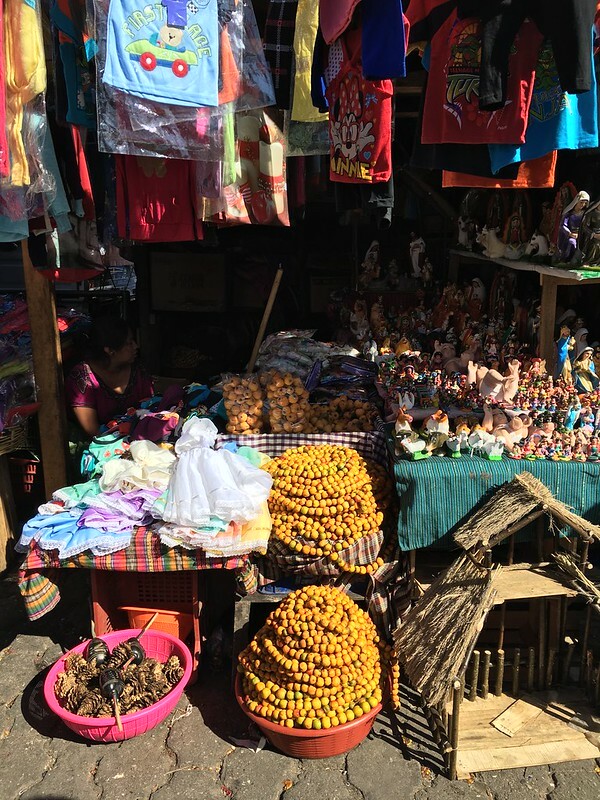 Just next to La Recoleccion is the Antigua market. There is a very clean section for tourists that sells trinkets but I really liked the less organized section where you could buy random fruits and old clothes. This market is really mazelike and you might get lost a few times but the people are friendly and you can ask anyone for directions. Coffee break: Bella Vista coffee. The coffee is good but the main draw here is the view. 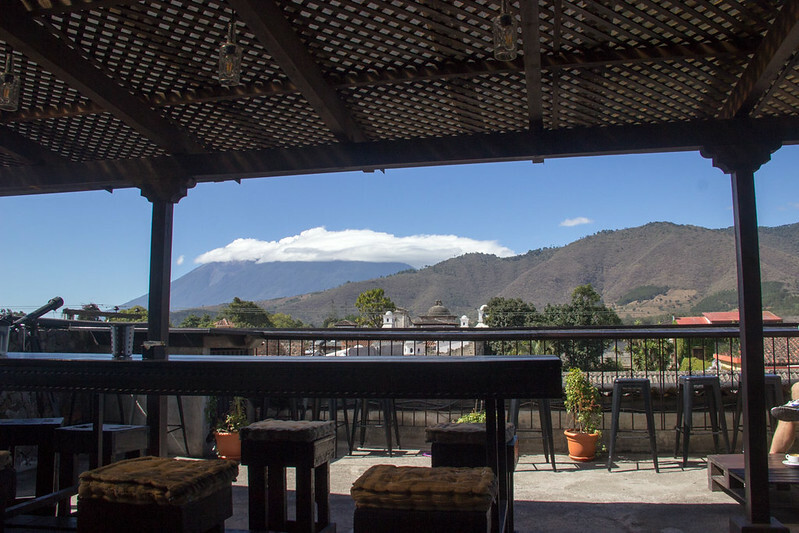 Get your coffee to stay and go to the 3rd floor for a bird’s eye view of Antigua as well as of the surrounding volcanoes. If you’re lucky, Fuego might be erupting in the background as you hang out and drink your coffee. Punishment stop: so because we get serious FOMO, we decided it was a good idea to go to Cerro de la Cruz. 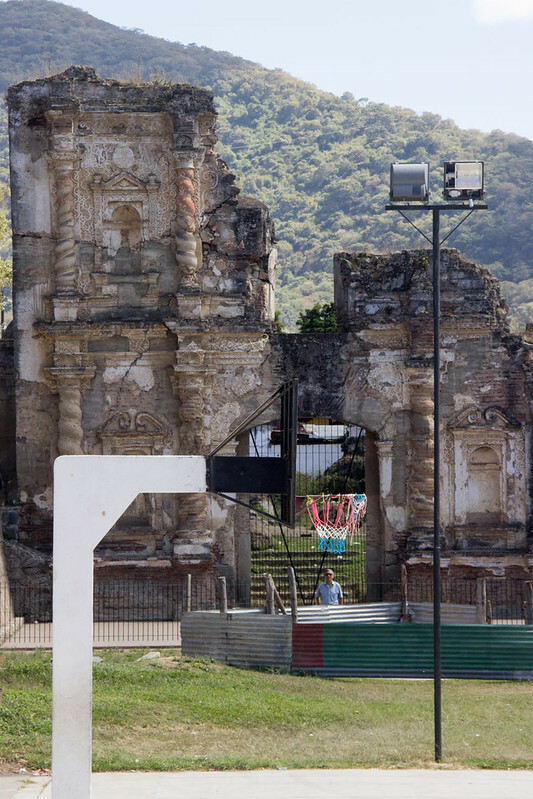 It’s a really large cross on a hill overlooking Antigua. You get a great view of Antigua after climbing a few hundred steps but probably you shouldn’t do this directly after climbing Acatenango and Fuego as we did. Note that we felt totally safe doing this (despite what you may read online) and there are also tourist police along the hike during daylight hours. 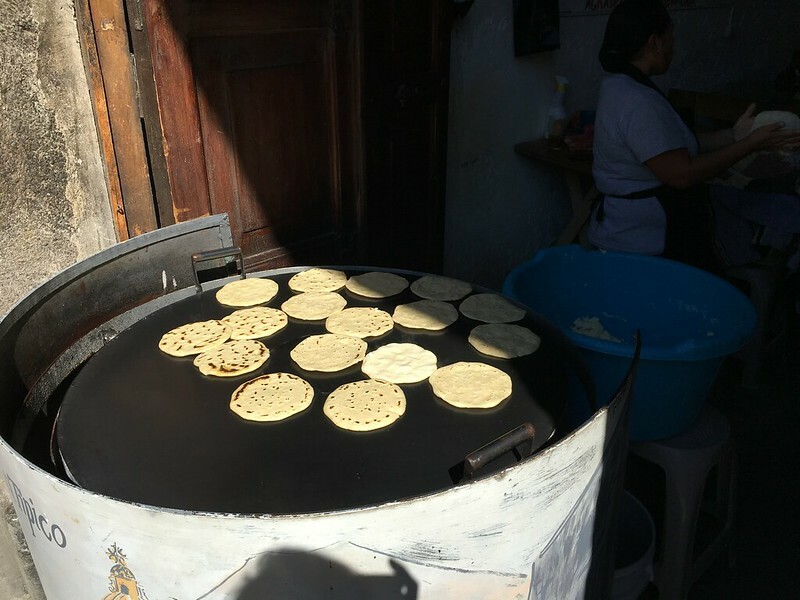 Dinner: La fonda de la Calle Real. This place is kind of expensive (alternative dinner places would be Pollo Campero or Aguacate) but they have an open kitchen and a nice ambiance. We ordered the pepian (a meaty stew served with tortillas) and tamales.